There are millions of people living with impaired cognitive function including those suffering from dementia and Alzheimer’s disease. Normal cognitive function requires sufficient blood flow. The best known markers of Alzheimer’s are plaques of proteins, called beta-amyloids, in the brain. In addition, blood vessels may become abnormal and the flow of blood to the brain may be reduced. Salt is essential for the body to fully function. However, too high or too low salt intake can have a major impact on health. Many effects of a high salt intake are focused on heart health. However, a salty diet can also lead to inflammation that can reduce blood flow and impact brain function. Most Americans eat nearly 50% more than the recommended amount each day (2,400 mg) with processed and restaurant food being the major contributor. 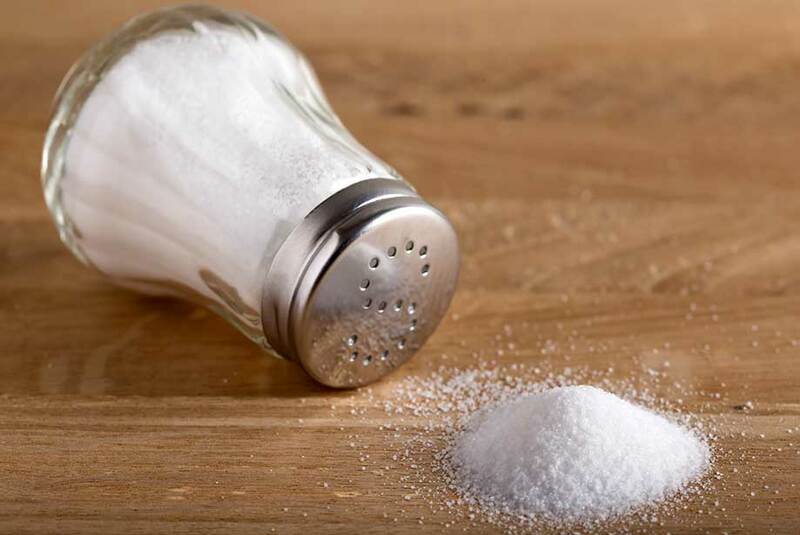 A recent study suggests a high salt diet could impair cognitive function and increase the risk of dementia and Alzheimer’s disease. Salty food can trigger an inflammatory response that can damage neurons and deprive the brain of oxygen. Mice were fed a high salt diet and within a few weeks, the diet led to impairment and dysfunction in the endothelial cells that line blood vessels and a reduction in blood flow to the brain. An increase in the pro-inflammatory IL-17 was detected in response to the salt. IL-17 can damage endothelial cells and can suppress nitric oxide that is important for fully functioning neurons. This can lead to mental and behavioral problems. Fortunately, these effects were reversed in mice within a few weeks by returning to a normal dietary salt intake. This highlights the importance of dietary intake and the role the gut can play on mental health. This data could open up new treatment opportunities for those suffering from dementia and other cognitive impairments. Enzo offers a wide variety of products for your Neuroscience and Immunology research needs. Our platform provides a range of small molecules, antibodies, and proteins. Our Nitric Oxide (NO2-/NO3-) detection kit is a complete kit for the quantitative determination of nitrate and nitrite concentrations. Our ultra-sensitive IL-17A (human), ELISA kit is highly specific and gets results in just 3 hours.